Swissôtel Le Plaza Basel - The perfect place to be. At the heart of Europe, where France, Germany and Switzerland meet. From here you easily reach the EuroAirport, main train stations, Rhine river port and public transportation. 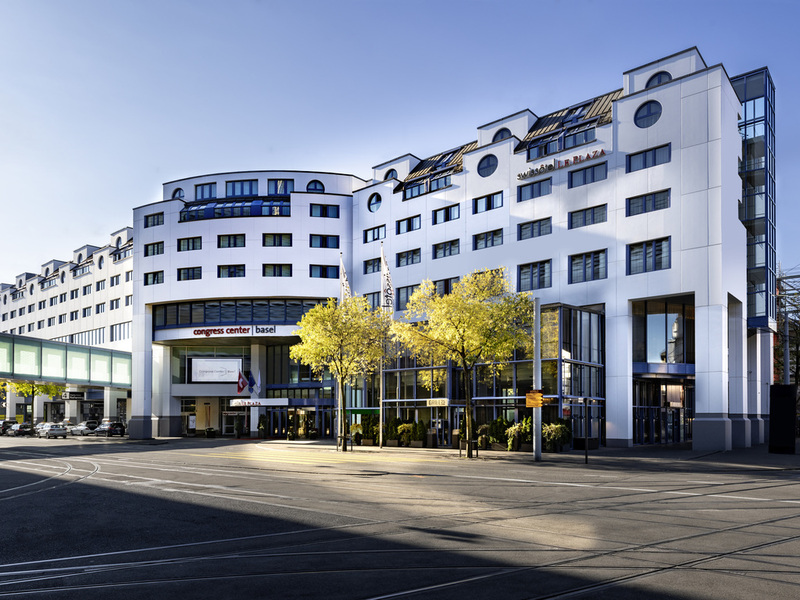 With its direct connection to the fairgrounds, the Swissôtel is ideal for your stay in Basel. Grill25 is the perfect venue for every meal. Our chefs ensure the highest quality of ingredients and fresh products. All dishes are homemade with products sourced and produced locally. Don't just take our word for it, come inside and see for yourself. Our Lobby Bar creates a casual but stylish atmosphere with floor-to-ceiling windows, vibrant lighting and contemporary furnishing. In addition to the usual international cocktails, our Lobby Bar offers an exclusive wine selection and delicious snacks. Always enjoy my stays at this hotel. The staff are what makes this hotel so great. They all go out of their way to ensure that you are happy and that you have everything you need. The room service menu could do with updating or maybe just some specials each week as it has been the same for a long time. The modern rooms are nice however sometimes the cleaners come very early. It would be good to ensure that this was after 9am or only if you know the guest has left. Nice experience. I also liked how the mini bar is now included. Friendly, helpful staff, a clean modern room, and a convenient location made for a great stay. We arrived after a long trans-Atlantic flight and were greeted with hospitality and ease of check-in. Martin made some excellent suggestions for optimizing our stay. On my birthday, a message card and some chocolates were on the desk! I was so impressed.. In general, I liked my stay at the Swissotel Le Plaza in Basel; however, some minor flaws resulted in not giving the highest score (not enough water pressure during shower, shower hose not long enough). To old style hotel. Very simple and cheap look rooms for crazy price! Too old, too expensive for what it is, it’s a hotel of last century. Rooms too small. Low ceilings. Looks like hotel still using opportunity to grab crazy money from Basel Show guests! But it’s nothing compare to Geneva or ZURICH hotels. I’m not happy at all. Great location, Best Team. Thanks again. Not very clean. Not very well maintained rooms and facilities. Excellent , great check in and check out experience . I booked a suite and i told at check in that breakfast was included which was excellent and served by Claude . Suite was very nice and spacious . I have been coming to the Swiss Plaza for over 15 years. Over the years there have been many changes to the amenities available and the furnishing. Swiss always keeps up to the times. My one issue this trip - was there was no water delivered in the evening. Mattress felt like it had a hole in the center. Room smelled bad. Furniture was stained and damaged. Toilet paper wasn't always replaced. Lack of attention to detail. Overpriced. (copied my review from Booking.com) Positive: The breakfast is perfect! Room facilities are also great. Everything was in the room that you might need. It was actually the first hotel where there was a wisp in the bathroom. We are planning to book it again. A bit negative: We were booking Premier Room on booking.con. But for the same room you have two sets of photos in the list of photos: one with grey walls that looks modern and one will yellow walls that looks fine but not so modern. Nicer photos are set as the first photos in the list. I was suspecting that there could be some manipulation to show one room and to give another. In the booking message I explicitly asked that I would like to have the room with grey walls as shown in the picture. When I arrived to the hotel I was told that the rooms with grey walls are ones that are renovated and they cost more. I was told that it is possible to get it with the room upgrade that costs 20 CHF. I decided to pay for it because the overall cost was still a good price compared to other hotels. My experience at the hotel was still very good. But you might not know about room upgrades, there might be no renovated rooms or you might be just disappointed with this fact. I would prefer not to have with such manipulations. Perfect service and very clean rooms! Great!! In Basel for a conference and I was made to feel welcome. The room was comfortable and the staff very friendly and helpful.